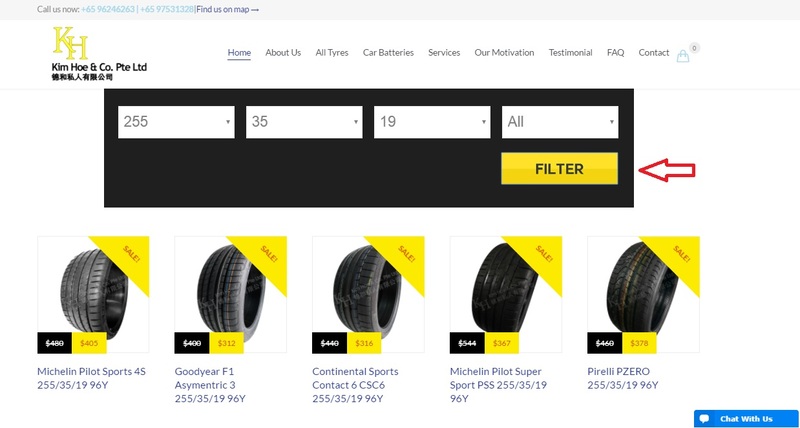 1.Select your desired tyre size and choose from the available tyres below then “Filter“. 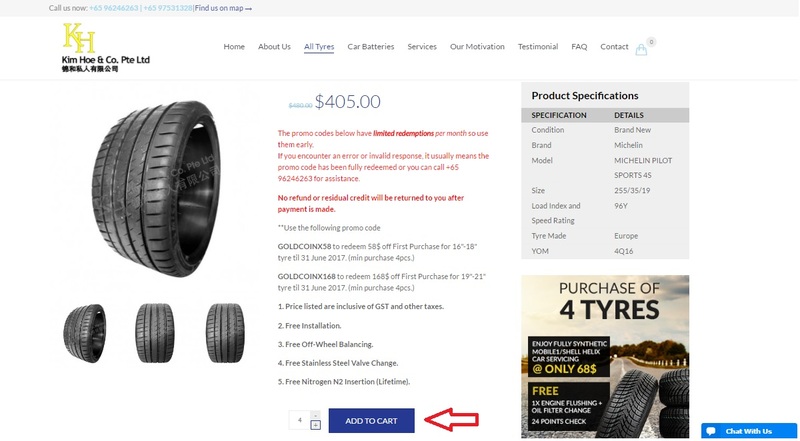 2.Select the quantity and “Add to Cart“. 3. 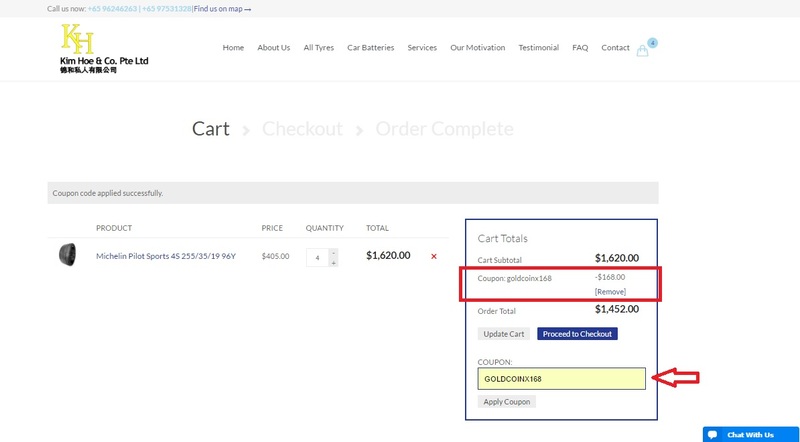 Click on “View Cart” and you will be able to see your order. 4. 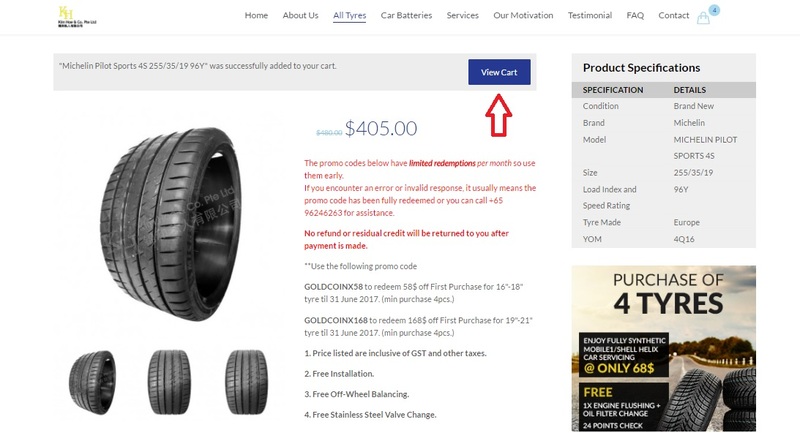 Choose the correct coupon code (if any.) and “Apply” you will be able to see the discount given. 5. 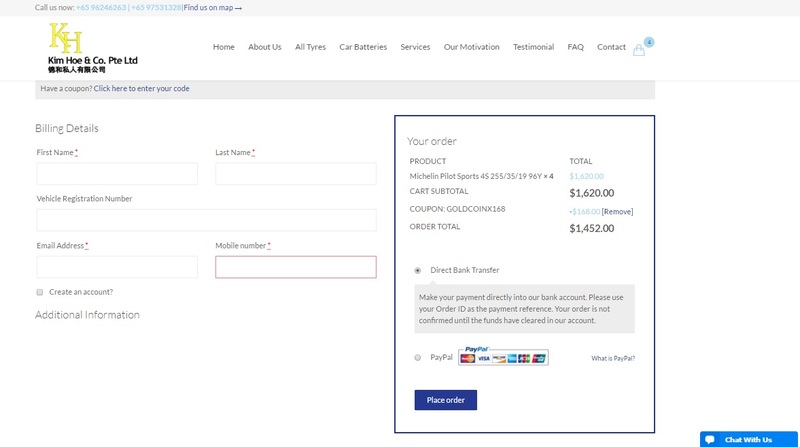 “Checkout” , fill in the information required and choose your mode of payment. 6. 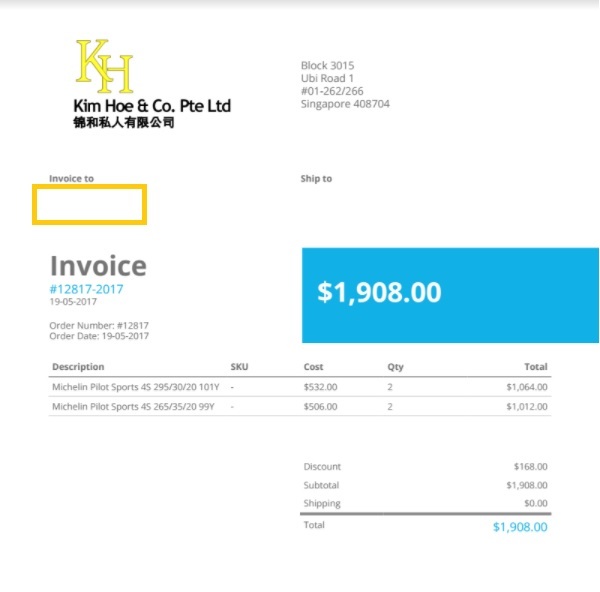 You will recieve a copy of invoice sent to you via email and we will contact you within 1 working day. For further queries and assistance , feel free to call 96246263.